Every January, I used to write out a list of resolutions that I’d forget or abandon altogether by February.... sometimes even earlier when it involved crazy ideas like... go on a diet... pfffftttt!😆 That’s just crazy talk! Instead, I've been working on creating tiny habits that lead to big changes. In 2016 I celebrated Earth Day by creating 3 new habits that help create a healthier home. I started recycling at home and I’m just shocked at how much can actually be recycled, sometimes I can even skip garbage pickup day because I don’t have anything in the garbage can! I started using reusable shopping bags. I still struggle a little bit with this one. I sometimes forget to take them to the store with me and it just seems like they multiply like bunnies! I started incorporating all natural cleaning products as I use up the old ones. 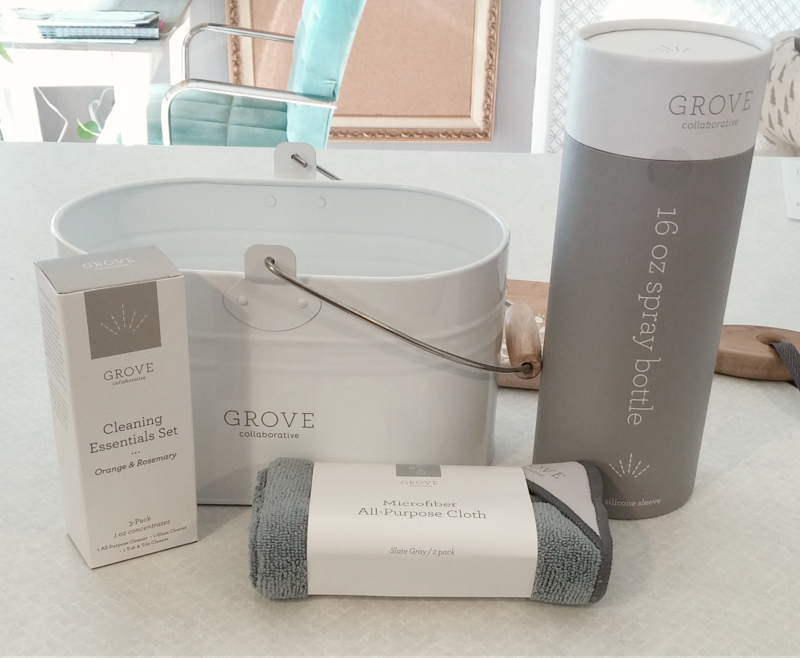 I signed up for Grove Collaborative’s online delivery service. They are dedicated to helping you have a healthy, beautiful environment in your home. They do all the research and hand-select the best natural products, and deliver them (carbon offset) right to your door. And they have a 100% happiness guarantee so you can feel safe trying new products! 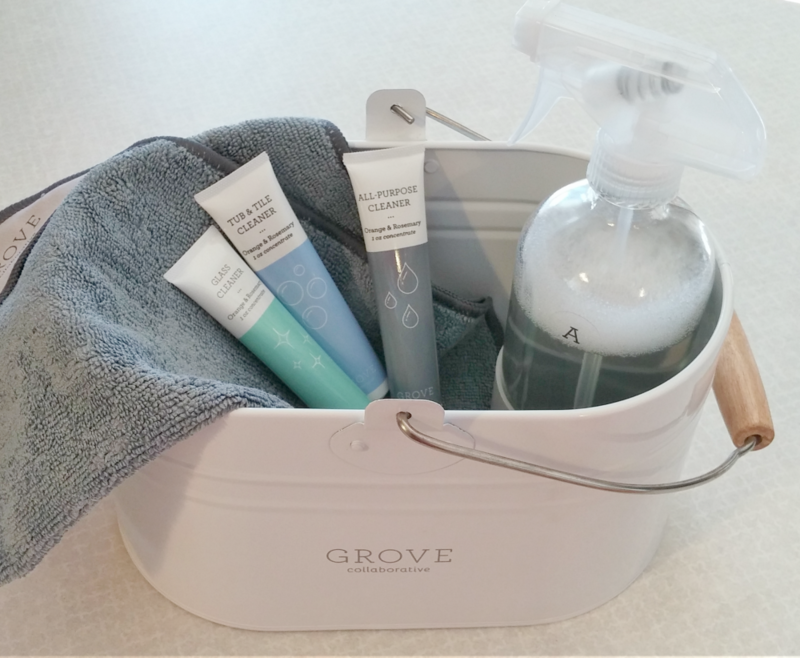 I've been using Grove for almost two years now, and I’ve been really happy with the products I’ve tried. You can try them out too, there's no obligation. If you don't like it you don't have to continue! Yes, I'd like to try Grove Collaborative! The Grove cleaning concentrates are a genius idea! I love that they’re toxin free and also create a minimal amount of waste compared to big bottles of cleaner! 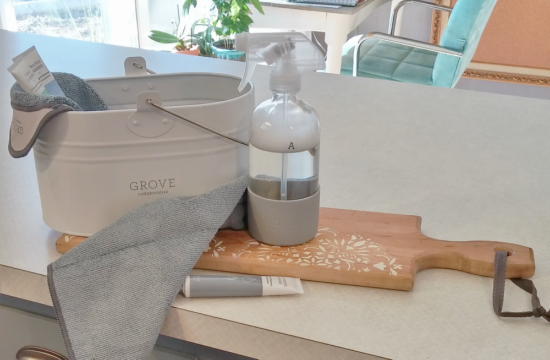 Pick up one of their pretty glass spray bottles and some microfiber cloths that are equally good for wiping down countertops or getting windows sparkling. And you can stash everything in this beautiful white caddy, and you’ve got a healthy and toxin free cleaning kit that looks so nice you can keep it out! 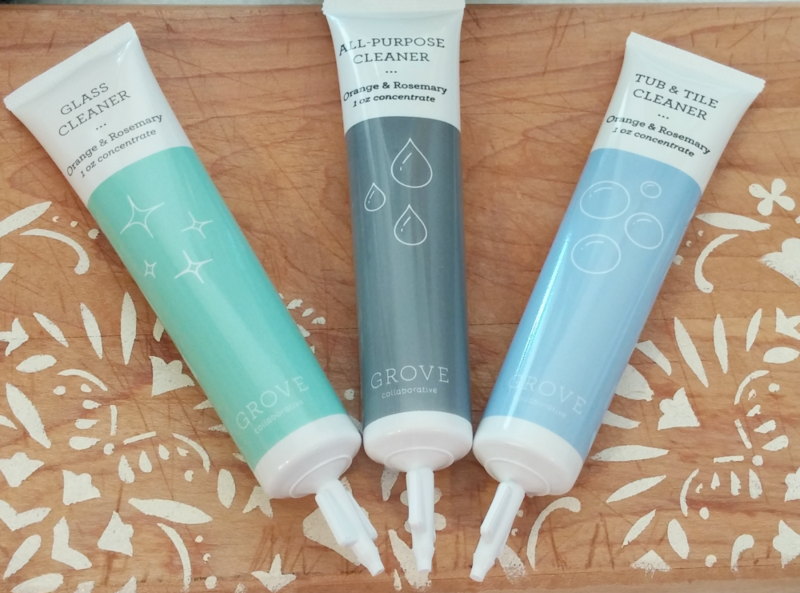 Have you tried Grove Collaborative yet?